The word “idol” is used very liberally today – it is a title given to philandering sportsmen, scantily clad pop singers, and adolescent soap stars. To me, however, an idol is someone who, in the words of Robert Baden-Powell, leaves this world a little better than he or she found it. And Dr Neville Alexander, former struggle hero and internationally acclaimed academic who passed away on Monday, 27 August, at the age of 75, was just such a person. Neville Edward Alexander was born on 22 October 1936 in Cradock in the Eastern Cape, where he matriculated at the Holy Cross School. After majoring in History and German at the University of the Western Cape and obtaining his Master’s degree in German at the same university, he was awarded an Alexander Humboldt Stiftung scholarship to complete his PhD in German at Tübingen University in Germany. Following South Africa's democratic revolution, Alexander gained international prominence for his work in sociolinguistics, especially his pioneering work on language planning in multilingual societies and mother tongue education. That Alexander was indeed “a prominent coloured intellectual”, as former president and fellow inmate on Robben Island, Nelson Mandela, described him in A Long Walk to Freedom, is evident from Alexander’s numerous academic achievements. Alexander was a productive academic thinker right up to his death, attending symposia and conferences around the world. In the past couple of years he has written extensively for academic journals and books on issues pertaining to language and education in South Africa, as well as socialism. Until his death, he was a professor extraordinaire at the Department of Afrikaans and Dutch at Stellenbosch University. In 2004 he was awarded the Order of the Disa, a provincial honour granted by the Premier of the Western Cape at the time, Ebrahim Rasool, to honour him for his long commitment to socio-political issues and education. In 2008 he received the international Linguapax Prize in Barcelona for his contribution to multilingual education. Alexander can be seen, in the words of Michael le Cordeur, as the father of multilingualism and mother tongue education in South Africa. To echo President Jacob Zuma, South Africa has indeed lost a person of high intellectual and academic standing. In the words of black consciousness writer Andile Mngxitama, Alexander was “[an] extraordinary thinker; one of the best thinkers of contemporary times”. In his capacity as language planner, Alexander made an immeasurable contribution to the drafting of language policy in post-apartheid South Africa. In 1986 he helped to coordinate the National Languages Project in South Africa. In 1992 the Project for the Study of Alternative Education in South Africa (PRAESA) was founded, housed at the University of Cape Town, of which Alexander was later made director. After the fall of apartheid, the Language Plan Task Group (LANGTAG) was formed. This committee was chaired by Alexander and it was entrusted with the responsibility to advise the then Minister of Arts, Culture, Science and Technology, Ben Ngubane, on a national language plan for South Africa. A blueprint for language planning was submitted to the Minister in 1996. 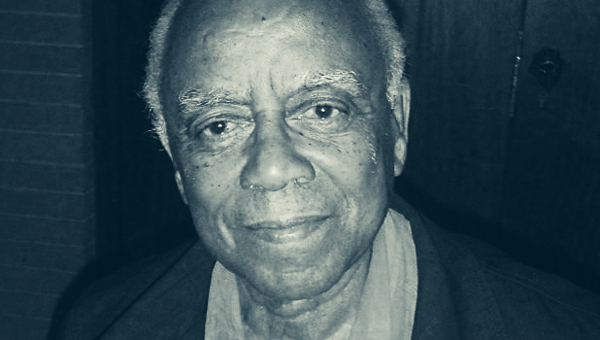 Alexander later served as an interim member on the board of the African Academy of Languages (ACALAN), a Pan-African body of the African Union founded to be the Union’s official language planning and policy agency. In 2004 he co-chaired a Steering Committee for the Implementation of the Language Plan of Action for Africa (ILPAA) in Cameroon. As architect of the Western Cape Language Policy he conceptualised the first language policy in South Africa based on multilingualism and the use of three official languages. The new South African Language Policy is a further testament to the important groundwork laid by Alexander in the field of language policy in South Africa. 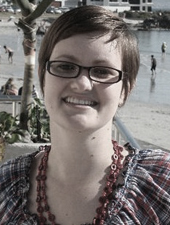 While still at university, Alexander joined the Teachers’ Language of South Africa (TLSA), an affiliate of the Non-European Unity Movement (NEUM). It was under the influence of this organisation that Alexander was introduced to socialist ideals, and, considering himself a Marxist, Alexander joined the German Socialist Students’ Union while studying in Germany. Back in South Africa he started to play a leading role in political activism, though he never saw himself as a political leader. Together with the Namibian activists Kenny and Tilly Abraham from the South West Africa People’s Organisation (Swapo), he created the Yu Chi Chan Club to promote guerrilla warfare, and subsequently founded the National Liberation Front (NLF). The goal of the NLF was to bring together people who were committed to overthrow the state, irrespective of their political ideology. By the end of 1963 Alexander had gained a certain notoriety as a revolutionary activist, and he was charged and convicted of conspiracy to commit sabotage in 1964. We taught one another what we knew, discovering each other’s resourcefulness. We also learned how people with little or no formal education could not only themselves participate in education programmes but actually teach others a range of different insights and skills. The “University of Robben Island” was one of the best universities in the country … it also showed me that you don’t need professors. By the end of his house arrest in 1979, Alexander had finished one of his best-known books: One Azania, One Nation: The National Question in South Africa, published under the pseudonym No Sizwe. In the early 1980s, he also became associated with the National Forum, which aimed to coordinate opposition to the introduction of the tri-cameral Constitution. In 1986 he became the secretary of the Health, Education and Welfare Society of South Africa, a trust funding a range of community projects aimed at empowering the oppressed. In April 1990 Alexander headed the Workers’ Organisation for Socialist Action (Wosa), which advocated for Black working-class leadership, anti-imperialism, and anti-racism, and also demanded fair votes in a non-racial, unitary country. Being part of the ignorant youth of the twenty-first century, a group so often oblivious to the struggles of those who have gone before us, I did not know who Dr Neville Alexander was before I encountered him in an Honours class on language planning and policy. Suddenly a new world opened up for me as Alexander introduced us to the world of sociolinguistics. I was fascinated by his vast knowledge and I hung on his words about the impact language choices can have on society. His enthusiasm for language and his passion for people encouraged me to continue my studies in language planning. It has been an honour to be able to draw from his insights over the past four years. “Uncle Neville”, as our all-girl Honours class lovingly referred to him, was always humble (although he surely had much to boast about) and respected everyone, regardless of their social standing. But this does not mean that Alexander would not voice his opinions very clearly. According to Alexander, his time on Robben Island taught him how to disagree with people while still respecting them. And this life lesson was also evident in his approach to his thinking on social issues such as language planning and education. What made, and still makes, Alexander such a respected scholar around the world is the fact that he never hesitated to give his candid opinion. The last time I saw him we were both guests on Radio Sonder Grense’s talk show Praat Saam in an episode on the so-called “Coloured experience of Afrikaans”. From the get-go Alexander did not hesitate to express his disapproval of the racialisation of Afrikaans as belonging to any group of speakers. This straightforward approach often made him a controversial figure, in academic as well as political circles. One such controversial issue was his proposal for the harmonisation of the African languages of South Africa – an idea he got from Jacob Nhlapo who proposed the harmonisation of African languages in 1944. Although Alexander received a lot of resistance to the issue at first, the interest in the harmonisation of African languages in linguistic circles across Africa since the end of the twentieth century once again shows that Alexander was ahead of his time in many respects. In the end Alexander wasn’t really concerned with party politics, but with the welfare of the people, which often resulted in his taking on the government of the day, be it during apartheid or in the new South Africa. While many people today see Afrikaans as the language of the oppressor and turn their backs on the language, Alexander continued to believe there was a place for Afrikaans in a multilingual, democratic South Africa. In discussing the role of Afrikaans as a language of reconciliation, restitution and nation building, Alexander pointed to the many unintended benefits of Afrikaans's standardisation – the apartheid government, in the course of pursuing its sectionalist and racist project, had created, among other things, a layer of highly skilled language specialists who could now be used in the standardisation of other African languages. He called these unintended benefits “Mephistophelian effects”. Alexander’s life, on the other hand, was not characterised by such Mephistophelian effects – everything he did, whether as a political activist or on the academic front, he did with the intention of bettering the lives of those around him. And in the process he touched the lives of everyone with whom he came into contact. To me, he was the embodiment of true democracy – he saw all men and women as equal, despite the atrocities he experienced under the apartheid regime. In a world often filled with hatred of the Other, Dr Neville Alexander’s life reminds us that we are all tributaries of the same Great Xhariep, flowing together to form one nation of unity in diversity (a metaphor he often used to describe a democratic South Africa). And that is the kind of idol today’s young people need. Rus sag, Uncle Neville. Hamba kahle, wise teacher. May your legacy live on in our hearts and our lives. Le Cordeur, M. 2012. Lank lewe Neville Alexander. Die Afrikaanse Taalraad. [Online]. Available: http://afrikaansetaalraad.co.za/?p=4533. 28 August. Patel, K. 2012. Remembering Neville Alexander. Daily Maverick. [Online]. Available: http://dailymaverick.co.za/article/2012-08-28-remembering-neville-alexander. 28 August. Sapa. 2012. Condolences pour in for Neville Alexander. Mail & GuardianI. [Online]. Available: http://mg.co.za/article/2012-08-27-condolences-pour-in-for-struggle-veteren. 27 August. Magnien, N. 2012. Dr. Neville Edward Alexander. South African History Online. [Online]. Available: http://www.sahistory.org.za/people/dr-neville-edward-alexander. [Accessed: 28 August 2012].